The northern pintail is one of several dabbling ducks that winter in the Chesapeake Bay. Pintails often rest and feed together with other dabbling ducks, especially mallards, black ducks, and teal. Pintail drakes are easily recognized by their slender necks, chestnut heads, and long tail feathers. 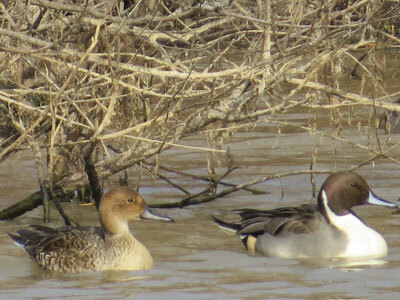 Female pintails are duller in color than males, but otherwise similar in appearance.